These are a relatively new design to existing window coverings. 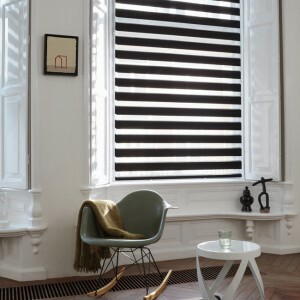 This design is unique to only one supplier that curtainslondon are in partnership with. There are two sliding layers of fabric with sheer horizontal strips. 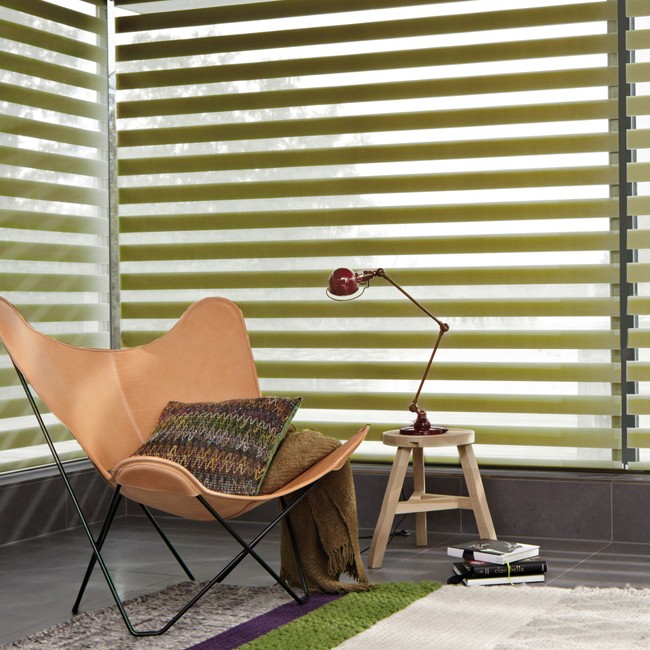 This is the hallmark of Luxaflex® Twist® Roller Blinds, a contemporary addition to existing styles of window coverings. 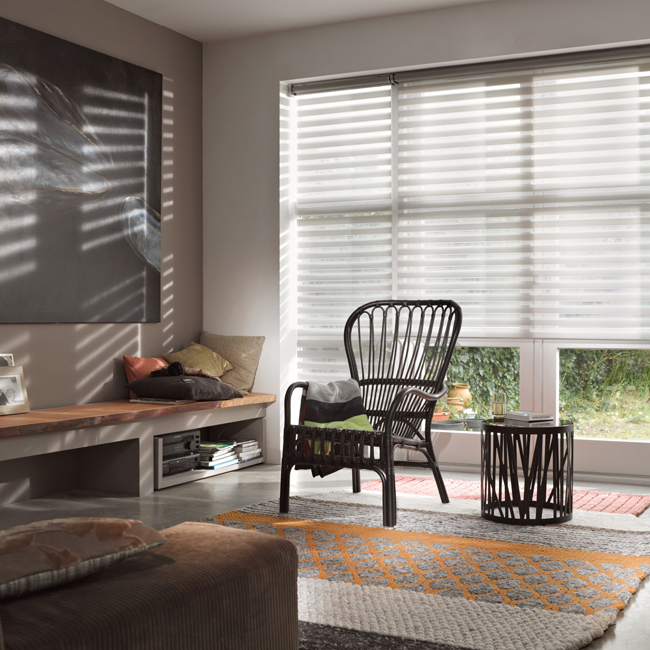 It’s an amazingly simple and effective method for choosing just the right amount of incoming light and privacy. 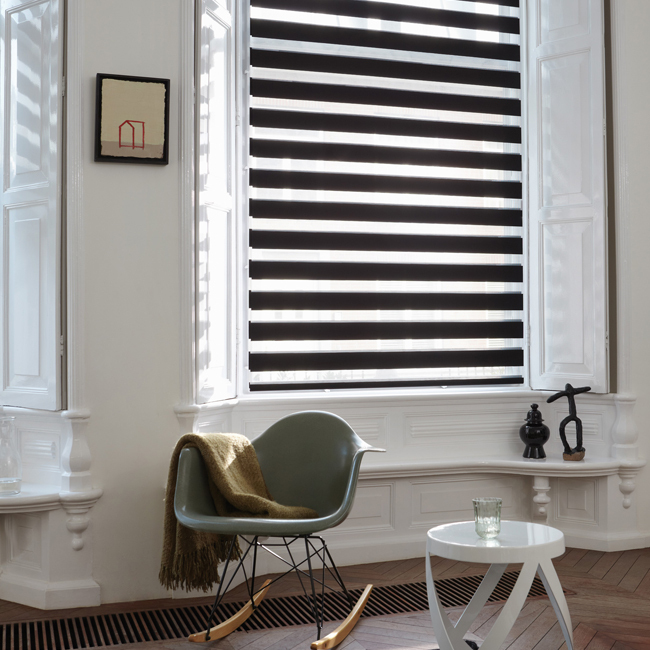 Our Twist® Roller Blinds feature Child Safe systems including motorised systems, crank operation and chain tensioner.